How The Latest Resume 2018 Examples could bring a new JOB? Have you tried the latest resume 2018 samples this year? Does 2018 year bring us something new, when we’re talking about resume writing trends or new possibilities to get the job fast? Seems like – YES! It’s a time of “first impressions”. You need to not only “sell” your candidacy – you need to sell it the best way possible. It’s not easy, but still – it works and works good enough. So, before you are going to start writing your resume in 2018 and would open a Word document, we would ask you to read our article till the end..
To make your reading more interesting, we decided to provide you with some interesting facts and researched market leaders did and shared with us. It’s would let you understand the situation on the labor market and would help you to adjust your future steps. #1 interesting facts we found on themuse.com about what’s really going on, when your resume is in HR mailbox and what’s going on next. And we were really impressed, because according to their researches most hiring managers find candidate’s resumes boring. Do they really said BORING? Yes. they did. For you as a potential candidate a new job ad – it’s a an opportunity. For a hiring manager it’s a recruitment process with tons of routine duties and responsibilities. That’s why if you are still hesitate if to use professional and creative resume format 2018, you’d better think about it once again! #2 The other interesting data we would like to share with you is about how important to stand out from the mass and target your resume. We decided to deep into some details and opened an Top HR Statistic, done by glassdoor, which is open and published on their website. As you can see, there are too many data, but lets try to understand which is crucial for you! Which data could bring you some insights and could help you to adjust your job seeking and application process. We omitted other sections of their article and moved to “Recruiting”. And the first number you need to think about is 250. It’s an average numbers of applicants to announces position. It’s about competition and about how important to stand out from a crowd using latest resume templates 2018! Another interesting fact is that 48% of small businesses – fell hunger in relevant candidates. #3. According to an unemployment rate during the last 6 month – the trend is still stable. We don’t want to deep into details now and to show how it could affect you, based on your background or skills you have at the moment. But still, you need to keep such information in your mind. As you can see on the trend above, more and more job seekers are trying to get their job and they successfully do that. What does it mean for you? The competition is growing and will grow up next year as well. Today it’s not enough to have a good resume – today you need to know how to stand out from a crowd and help hiring manager invite you for an interview. And it’s a good challenge for a resume 2018 template you are going to use in your resume. Chronological resume template is an outstanding solution for almost all the job seekers. The main reason – is well known by all the hiring managers and could help them understand on who you are in seconds. There are tons of different resume samples for all the specialities on the web. Really good choice – but only for those job seekers, who would like to continue their career path in the same area. If you are planning to change everything or want to change your specialisation – you’d better to think about some others templates. Good choice and winning resume format for those candidates, who can’t brag and to show impressive career path or huge companies in their CVs. BUT they have pretty huge set of different skills, which they can sell pretty well. This resume is for those job seekers, who has proven hard skills. There are always some candidates, who believe that their career path is the most impressive and they don’t want to stand their choice using right one resume template. If you do believe that specific resume format could not show some of your strengths – it’s a nice opportunity mix some resume templates in one. This is the main goal of combination template. The main purpose of targeted resume format is to MATCH. Match the most relevant job ads on the labor market and the most relevant job seekers to such positions. What do you need to do? Adopt your resume for the position you would like to get. It’s not as easy, as you could expect, because it needs a lot of your time for crafting your resume for each interesting job ad. BUT at the end result – you will see that it works. How to grab HR’s attention using Resume Samples 2018? There are no one an correct answer to this question. If HR’s would like to reject your resume, because you have not enough experience or whatever else – you have zero chances. But now we’re going to talk about how to emphasize your chances to be seen and stay into pile of interesting candidates. In no way. Resume layout you are going to pick affects on hiring manager’s attention. It’s like a first touch with your resume. Professionally made resume template is organized and colored the way to grab more HR’s attention to the rights resume points and sections. Some time ago we spent some time to provide our readers with a full resume 2018 guideline. We did this huge job to help job seekers understand where to start and which information include to each resume section. Why it’s important to know? Because of many reasons! But before we will move to some brief on what are the most crucial parts of your resume, we would like to share with you an old post, which shows how hiring managers scan resumes. It’s an old research, which was done by TheLadders and we found their post on businessinsider.com about how important to have a right structure of your resume. Contact details. If hiring manager scan your resume and can’t easily find out your contact details, you have less chances to get a call. They are busy people and would not search for your cell number if you did not bring enough efforts to place it write way. Achievements. Nobody cares about what you did, but they are interested on what was done and has a proven results. It’s measurable and can answer to one main question about your effectiveness. So, if you have something to say about your results, it’s a good idea to share them in appropriate resume section. Skills. Some recruitment projects has one main goal – to find specific skills. It’s means that they are not looking for a wide range of candidates, they are looking for a hard skills you can probably have. And it’s your lucky day, if they will find them in the shortest time, while scanning your CV. Experience. If you worked for a leaders on the market, why shouldn’t you share this information in your resume? Add all the dates and periods. Here are the most polished and well-written resume samples for 2018 year. We decided to share with you the most attractive resumes or sources splitted by professions. Administrative Assistant Resume Sample – the one of the most interesting resume formats we found on the web for administrative assistant position. Professionally made and clean. Teacher Resume Example – Another good resume sample for teacher position and another good job done by leader job search portal livecareer. Office Manager Resume Sample – the one of the most popular position among young job seekers and the pretty competitive as well. Feel free to open and see how to format your office manager resume right way to get more responses. 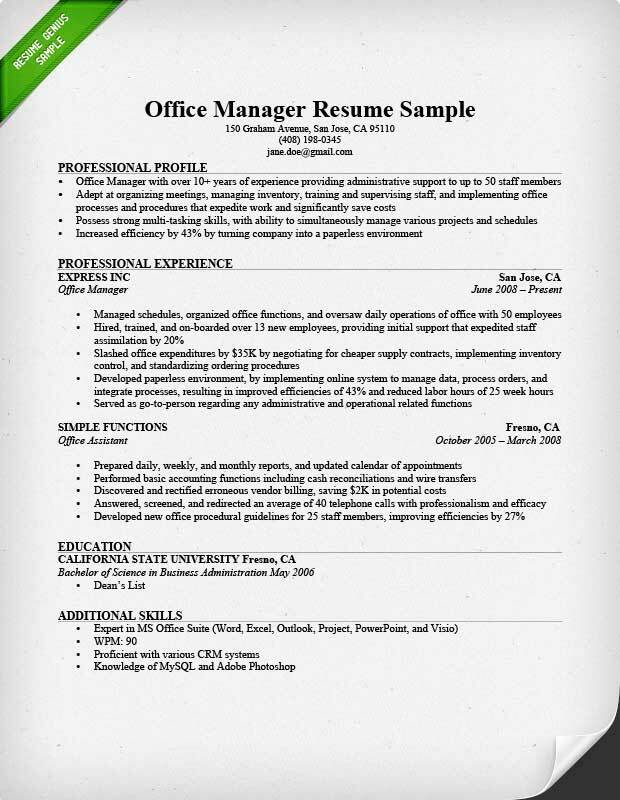 Sales manager resume samples – It’s not a complete resume template, which you can download. It’s a parts from resumes written by a professional resume writer, which you could easily use in your resume. Medical assistant resume samples – For those candidates, who are looking for a medical assistant positions. Engineer resume templates – The hugest list with resume samples for engineer positions we have found on the web! So, if you are looking for an engineer position, it would be a good source for you. Seeking for more latest resume examples 2018 in docx? Feel free to visit our website, because we update with the new samples of resumes on regular basis. According to cornell.edu using a different resume templates are important to increase your chances to get a new job. But it’s also important to follow the simplest resume formatting rules, which would not only make your resume look more professional, but would let hiring manager to understand that your resume was done professionally. Do not hesitate to create a video resume. Response rate for such resume is impressive and you will be surprised on how well it works. Even you don’t know how to create them, it’s a good investment and you can pay to agency, which would record it for you. One page resume format is a trend now. Less information to read for a hiring manager and less useless info to include for you. Targeting your resume is more like a trend now, compared to what it was few years ago. You are doing your resume 2018 more relevant and interesting for a HR. Do not afraid to use professional resume templates. They would help you to keep your information structured and easy to read for read. Nobody knows what’s going to be tomorrow and maybe somebody will call you! We know that using all our advices and instructions on how to use resume templates 2018 would help you to GET YOUR JOB!